I have soft copy of my Voter ID card, but I have misplaced Hard copy of Voter ID. what should I do ? How I can get Voter ID card ? i applied two times for my voting card but still i have not get my voting id,now what should i do. i have two times for my voting card but still i have not get my voting id,now what should i do. I lost the votter card, how it get? I want to apply for my wife’s voter card, but her name is not included in any of the res. proof doc after marriage, as a id proof she only has PAN card to produce, does an affidavit will suffice the purpose of address proof ? sir,i am 33 years old.i am having all documents but my father was actually staying in Nagaland and and his name in the voter card is wrong.Moreover now i am staying in west bengal for 10 years . You want your Voter ID card or your father’s, I did not get your question. I need my voter card.I have previously applied for the same but my name did not appear on the list.My father and mother both have passed away this year. Actually i want to know one thing,i was born in 1983 and as per ,the nationality act i am a citizen of india by birth. If i submit all the documents like electricity bill,aadhar card,house deed papers,pan card,is it necessary to provide my parents voter cards for getting my voter card.please suggest. 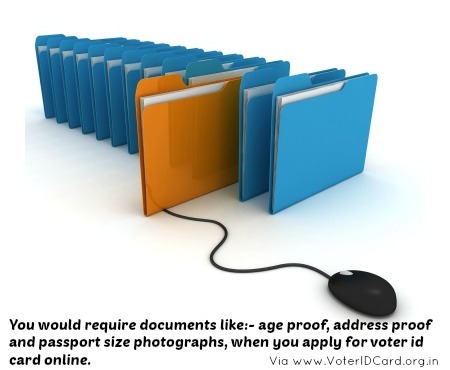 No you do not require to submit your parents voter ID cards to get your own voter id card. Thank u for for the valuable comment. I have filled and downloaded the form 6 online.Now can u please tell me where to submit this form. Due to some of my official work,i am being transferred to Haryana and i am planning to shift with my family on september.How can i get my voter iD there.I am working as an engineer in a private company. In that case you will have to apply for a new Voter ID card in Haryana, and fill and submit the Form 6 for the same. If i apply for a voter card in haryana,what documents i have to submit. All my documents are of west bengal. Your ID proof and photographs will work. However you will need residential proof that you stay in Haryana – Rent receipts, any utility bill like telephone, gas etc in your name will do. Its very briefly explained that i really good perfact and accurate information is provided but my question is after all this procedure,what how we will get the voter card? After sign in, it shows that my application for voter card is approved but now what I’ve to do is nowhere mentioned. There will be a voter verification when someone from your area’s electoral office will come to verify the details you may have submitted in your application. After that it usually takes a month or so for the voter ID card to arrive. Now since this process doesn’t involve anything to be done by the applicant, that is why nothing is mentioned anywhere. After you submit the application, the election officials will take care of proceedings.